Rolando Peña as Ernesto "Che" Guevara in Diálogo con el Che (Dialogue with Che) 1968 by José Rodriguez Soltero. Since 1963 as a conceptual artist, he began his artistic activity in media as diverse as performance, happenings, photomatons and body actions, installations, printmaking, film and video, multimedia and experimenting with image technologies. He collaborated with prominent play writers, intellectuals and curators such as Andy Warhol, José Ignacio Cabrujas, Allen Ginsberg, and Pierre Restany among others. 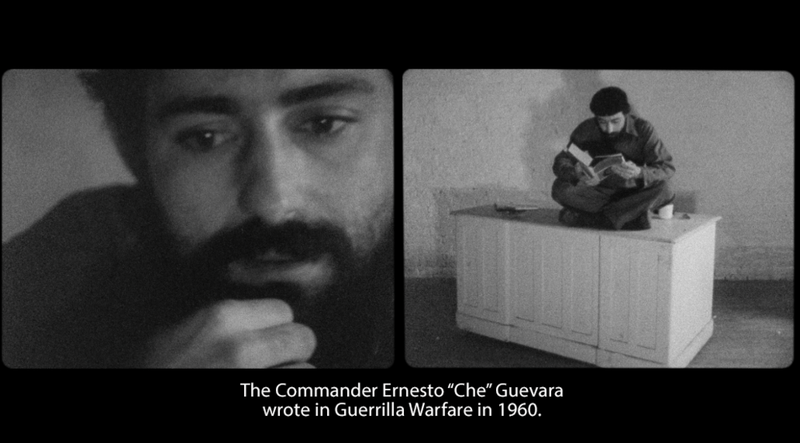 In 1965, Peña staged with play writer Jose Ignacio Cabrujas in Venezuela the first multimedia shows in Latin America: “Testimony and Homage to Henry Miller” and in 1966, he performed in New York, “The Illumination of the Buddha” with Allen Ginsberg and Timothy Leary (first psychedelic show). 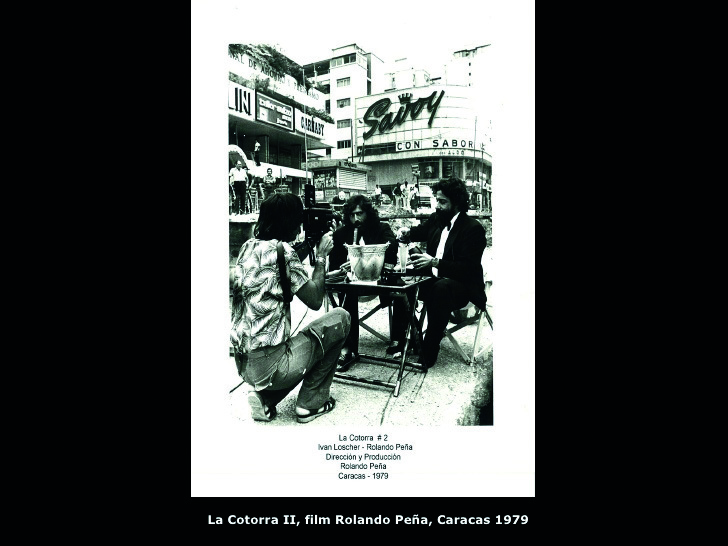 In 1967, Peña acted in several Warhol’s films performed by “The Foundation for the Totality”, group founded and directed by Peña. Since the 80s to the present, Peña has been creating a monumental work with his concept of Crude Oil, which has become an icon of contemporary art. His work, associated with conceptualism, has turned towards a critique of consumer society and especially on oil exploitation. He has lived in New York, Paris and Caracas, cities where he has shown his work in several solo and group exhibitions, performance experiences, installations, and art in public places. With a consistent body of work throughout the junction of art, technology, and science, in joint research with astrophysicist Claudio Mendoza.